A death in Aldergrove may not be a murder, according to the Integrated Homicide Investigation Team. Two men arrested Wednesday night have been released and police now say the dead man was trying to break into a local home. 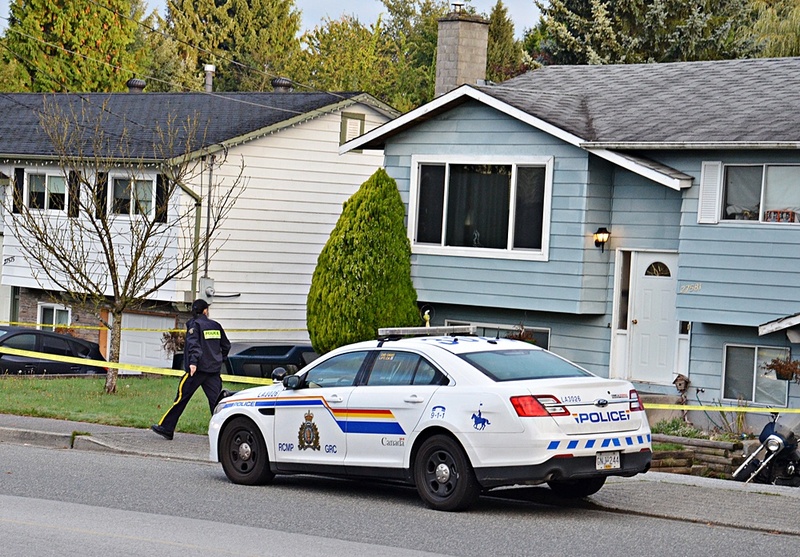 On Oct. 1, just before 8:30 p.m., Langley RCMP were called to a house in the 27500 block of 32nd Avenue, said Staff Sgt. Jennifer Pound, an IHIT spokesperson. Officers found an unconscious man at the scene, and he was rushed to hospital but later pronounced dead. Pound said the victim, who initially was not identified, is 51-year-old Clayton Marr. The investigation so far has shown that Marr had broken into one of the two homes at the end of the street near the Abbotsford-Langley border. A homeowner and a neighbour from the next house then tried to catch and restrain Marr until the police could arrive. Marr passed out before the police got to the house, said Pound. Further evidence gathered since the incident does not support laying charges at this time, Pound said. The two residents of the street have both been released. IHIT had previously said that neither man had a criminal record.